Legends of the Ancients je fanúšikovská kampaň pre Heroes V: Tribes of the East. Prvá časť, alebo kniha vyšla v októbri 2006 a odohráva sa v univerze Might and Magic, konkrétne vo svete Axeoth po udalostiach z Heroes of Might and Magic IV. Prvotný zámer Legends of the Ancients mal priniesť štyri samostatné kampane, ale nakoniec kompletne vznikli dve: Book 1: Fires from the North a Book 2: The Sunken Kingdom. Ostatné dve knihy: Book 3: Demons and Wonders a Book 4: Heirs of the Dead zostali nedokončené, ale kompletný príbeh týchto kampaní je spracovaný na čítanie ako pdf. Kampane vytvoril Julien Pirou, ktorý sa neskôr stal zamestnancom UbiSoft a pracoval na hrách ako Might & Magic: Heroes VI, Might & Magic X: Legacy, a Might & Magic: Heroes VII. Artworky ku kampani zase vytvoril Jean-Mathias Xavier. Stále existuje aj oficiálna stránka Legends of the Ancients www.lota.celestialheavens.com. Update: V roku 2019 bola dokončená tretia kniha s názvom Book 3: Demons and Wonders. Osud štvrtej Book 4: Heirs of the Dead knihy bude priamo úmerný úspechu knihy tretej. Kompletný príbeh všetkých kampaní si môžete prečítať vo výborne spracovanom pdf The Art of Legends of the Ancients. 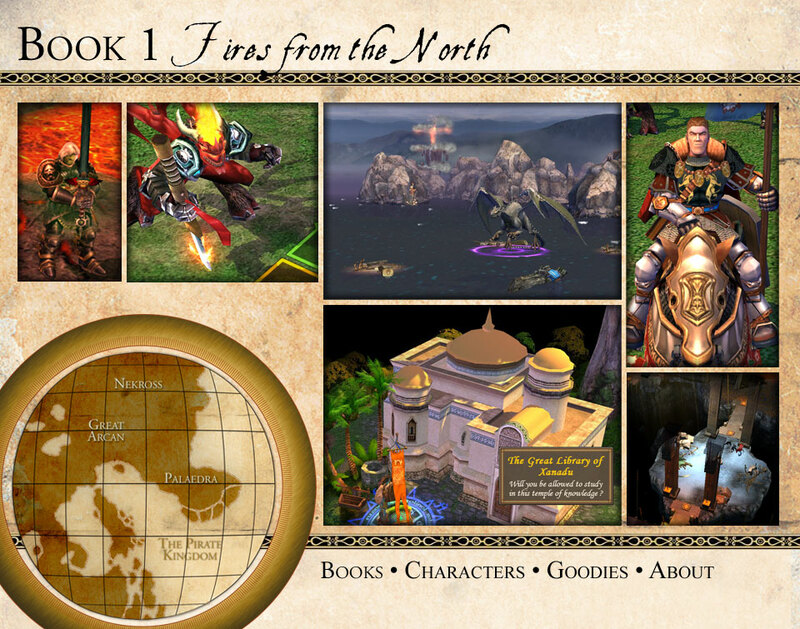 Legends of the Ancients was a fan-created campaign for Heroes of Might and Magic V, the first part of which was released in October of 2006. It takes place in the original Might and Magic universe, and takes place after Heroes of Might and Magic IV in the world of Axeoth. 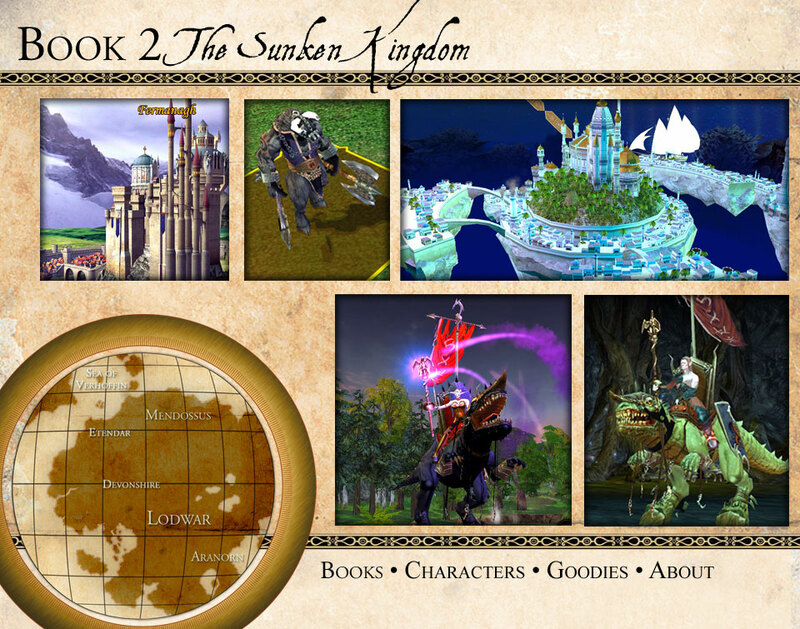 There were originally supposed to be four campaigns, or „Books“, but only two of them were released. The campaigns were created by Julien Pirou, who later became a Ubisoft employee and worked on Might & Magic: Heroes VI, Might & Magic X: Legacy, and Might & Magic: Heroes VII. Artwork for the campaigns was created by Jean-Mathias Xavier. The official website for Legends of the Ancients is www.lota.celestialheavens.com.